"After an in-depth search for a suitable software that not only keeps a backup of Office 365 but also restores the data whenever required, I came to know about Kernel for Office 365 Backup and Restore. Initially I downloaded the trial version to analyze and understand the working of the tool and now after purchasing its licensed version and receiving complete satisfaction, I will share my personal experience Read full review..
An Office 365 user can back up his Exchange Online mailbox to PST using this tool (without any administrative privileges). Meanwhile, Office 365 administrators can backup multiple mailboxes associated with his Office 365 account to Outlook PST. Office 365 Backup tool backs up archive mailboxes, shared mailboxes, user groups & public folder data. PST files can be imported to archive mailboxes, shared mailboxes, user groups & public folder too. This tool can backup even If your email address is different from the mailbox login ID (UPN). The tool can import PST files back to Office 365 (Exchange Online) and Exchange Server (on-premises & hosted). Thus, restoring the backed-up PST files is easy with this tool. Office 365 Backup & Restore tool helps you backup Exchange Server mailboxes too. It supports on-premises/hosted Exchange deployments and all Exchange versions including Exchange 2016/2019. If you have already backed up mailboxes (or imported PST to mailboxes) and want to perform it again after some data addition, you need not backup (or import) the already backed up (or imported) data. An option is provided to skip the already migrated data. It reduces the migration time. Use a CSV file to add multiple Office 365 and Exchange Server mailboxes/archive mailboxes. It saves the time and effort and accelerates the Office 365 backup/restore process. You can also search any mailbox by its name after all the mailboxes get displayed in the tool. The tool can run multiple backup and import jobs simultaneously. This feature makes it easy to initiate more migration tasks even while the first migration is under execution. Various filters integrated into the tool filters the mailbox content by date, item type, etc. You can also avoid Empty folders and Deleted Item folder during backup and restore. Thus, filters help in selection of Office 365 mailbox backup. The software works even if Outlook is not installed in your system. Also, the tool has a simple user-interface that ensures simple and hassle-free Office 365 Backup and Restore. Office 365 Backup & Restore tool displays the reports of backup or the PST import tasks after its completion. This report can be saved in CSV format for future use. How can I backup and restore Office 365 mailbox? 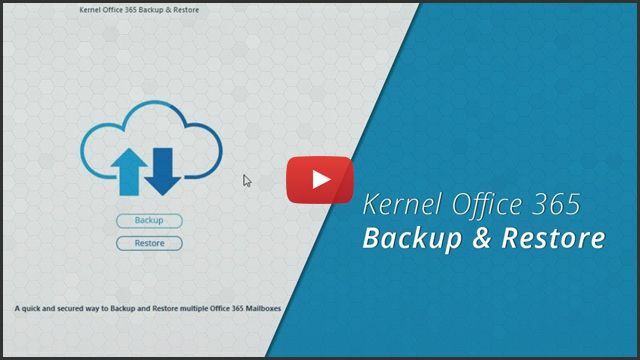 Run Kernel Office 365 Backup and Restore software. Select Backup and add the Office 365 account after login. 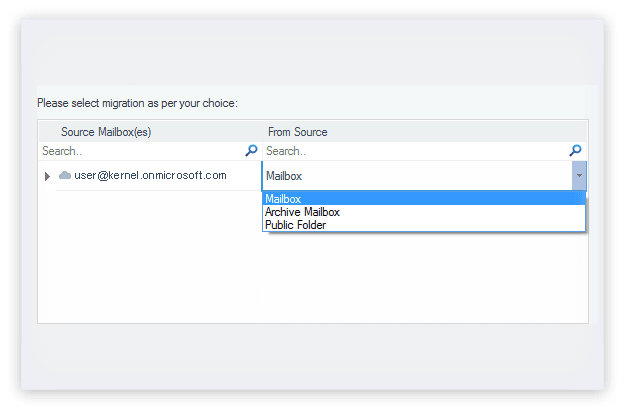 Select first option of Migrate above mentioned mailbox only. 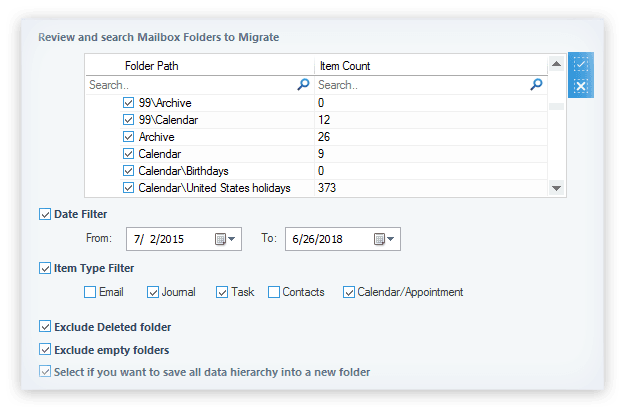 Select type of migration - mailbox, archive mailbox, or public folder. Apply data filters before saving in PST and click I’m OK, Start Migration. Similarly, with the help of Office administrator account credentials, users can backup and restore bulk Office 365 mailboxes to PST files and vice-versa. Does the tool create a single PST file for all the mailboxes after backup? No, the tool creates a separate PST file for each mailbox. 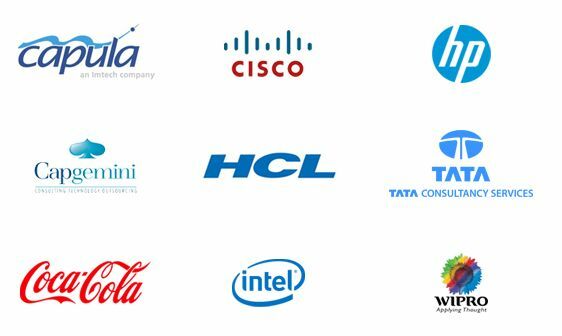 It reduces the complexity of the backup process and reduces the size of PST file. What will the tool do with empty folders? The tool includes a special Exclude empty folder option in Filter Selection page. Users can use this option to exclude empty folders while backing up or restoring. Where is the backup data stored while using the Kernel Office 365 Backup & Restore tool? At the user-defined location. While performing the Backup operation, the tool lets the user select a location for saving the PST file. Tell me the steps to backup Office 365 group emails to Outlook? Add Office 365 account global admin details and Office 365 group ID as source. The content in it will be listed instantly and you can migrate selective data to PST file. Is there a free version available for this tool? Yes. The tool can efficiently work even without a license. But the free version can backup only 10 items per folder from the Office 365 mailbox to PST. I had taken a backup of Exchange Server mailbox with size of 5GB. Later the size of mailbox grew to 8GB. Will I need to take backup of whole 8 GB again? No. You do not need to take backup of 8 GB again, but you can choose to skip already migrated items while filtering the Mailbox. What happens to the emails after backup or import? The integrity of emails remains same and there is no change in text, attachments etc. Even the status of emails (Read/Unread) is preserved. Is Outlook installation required to import my PSTs data to on-premises Exchange? Not required. Your PST files that are locally stored on your system would be enough. My colleague wants to import deleted items from PST to Office 365. Does this tool provide such a facility? If you want to migrate the deleted items folder as well, just confirm that Exclude Deleted items checkbox is unmarked or cleared in the Filter Selection dialogue box. This will migrate PST file data along with deleted items. How to Backup Office 365 Mailboxes? 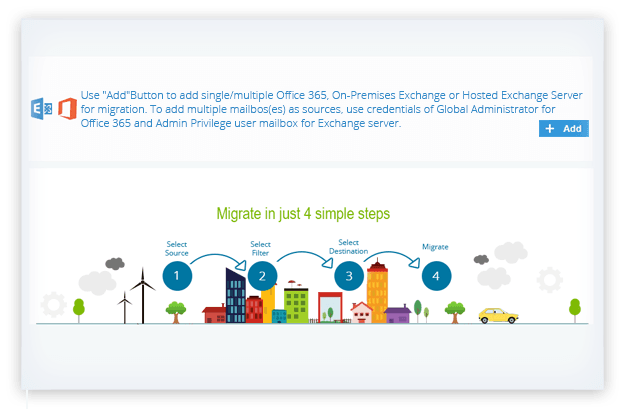 AddAdd the Office 365/Exchange Server Account for Backup. SelectSelect among Mailbox, Archive Mailbox, and Public Folder. SaveFilter and save the items. An excellent tool to backup Office 365 mailboxes, the interactive GUI makes it easy to use. I appreciate the efforts put in by Kernel support team; they helped me to backup mailboxes from Office 365 account. Perfect solution for Office 365 mailbox backup.